The “badam” or almond is among the most nutrient-rich nuts. It boasts of high protein, healthy fats, vitamins and minerals. We can safely call it a super-food for everyone, including those with diabetes. Almonds are members of the stone fruit family. The almond is the seed of the almond fruit. Some other fruits that belong to the stone fruit family are plums, peaches and nectarines. Almonds were initially cultivated in Asia and North Africa. In Rome, there’s a tradition where the bride and groom are showered with almonds as a fertility blessing. In Egypt, bread was baked with almonds for the Pharaohs. Now, let’s take stock of why the all-star almond is a must-have in your diet and the amazing health benefits they bring. A research study found that those who increased their intake after diagnosis had an 11% lower risk of cardiovascular disease, a 15% lower risk of coronary heart disease, a 25% lower risk of cardiovascular disease death, and a 27% percent lower risk of all-cause premature death. Almonds contain a large amount of Vitamin E, which behaves like an antioxidant, lowering the risk of heart disease. Almonds can also reduce CRP (C-Reactive Protein) which is responsible for inflammation in the arteries. Almonds are rich in good fats (monounsaturated fats and some polyunsaturated fats) that lower bad cholesterol (LDL – low-density lipoprotein). 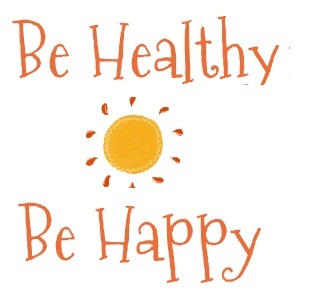 Get into the habit of including a handful of almonds ever day to reduce your bad cholesterol by as much as 12%. Almonds are high-potassium, and low-sodium which is ideal for balancing blood pressure. They also contain magnesium which promotes the distribution of nutrients in the body. Besides this, almonds are rich in iron which distributes oxygen to the cells. Almonds contain calcium, essential for bone health and preventing osteoporosis. It helps keep bones, teeth and muscles strong. Yes, almonds are rich in fiber, protein and good fat which satisfies your hunger quickly – and helps you control weight. Living with diabetes? 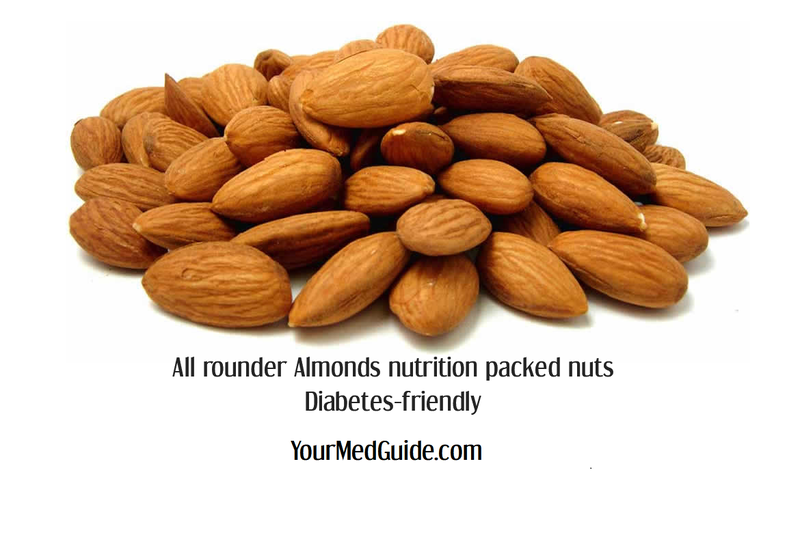 Almonds are diabetes-friendly with a low Glycemic Index (GI). When you consume almonds with high GI food, it helps lower their sugar/insulin level which usually rises after a meal. Eating almonds helps reduce the risk of cancer as they are rich in natural fiber and promote colon health and prevent colon cancer. Almonds are the ideal source of vitamin E, phytochemicals and flavonoids which help to control breast cancer cells. Its boron content helps lower the risk of prostate cancer. If you eat five almonds a day, your risk of developing gallstones is reduced by at least 25%. Almond oil is used as a laxative to relieve constipation. Massaging your hair with almond oil and amla (Indian gooseberry) controls hair loss. It also slows down graying and thinning, and prevents dandruff. Almonds are excellent for skin. Practically every cosmetic in the market includes almonds as an ingredient. A face pack of almond paste can relieve dry skin, pimples and black heads. It works for acne too. Almonds improve complexion, nourishing the skin and making it soft and smooth, preventing premature aging. Rich in protein, manganese, copper and riboflavin, almonds are a great way to get that instant energy boost. Almond chocolates or almond energy bars work, too. Try roasted almonds—so delicious. The almond’s nutrient content promotes brain development. Soak two-three almonds in water overnight. Eat them on an empty stomach in the morning. Almond has phenylalanine which improves our cognitive abilities. All nuts have protein. Almonds also contain easy to absorb quality protein. Almonds are great as a healthy and filling snack. Include it in your diet in the following ways, but remember, as always, portion control is important. Eat a handful of roasted almonds with an apple for a filling snack that’s rich in fiber, healthy carbs, vitamins and minerals. Make a milkshake with ground almonds and fruits. Sprinkle almonds on your breakfast cereal – oatmeal or muesli or cornflakes. Add it to cakes and breads when you bake. Grind 3-4 almonds and add them to gravy, adding health and taste. Best of all, almonds are great as on-the-go snacks that you can carry with you for a quick hunger fix. When you have a choice between cashew nut and almonds, ALWAYS go for the almonds. Almond butter vs. peanut butter: Which one will you pick and why?